Gingado Capoeira adult classes push students to test physical and psychological limits and master grace and balance, while strengthening the entire body. 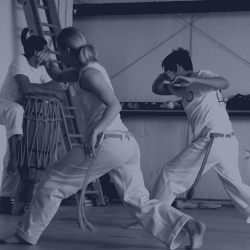 In addition to learning the fundamental of Capoeira we focus on functional fitness, self-defense, acrobatics, and mind-body connection. Youth Expressions offers arts and fitness programs both during and after school. 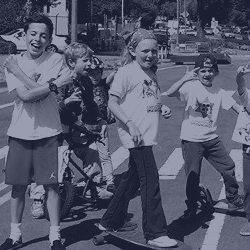 Our programs are designed to enrich the cultural lives of children and to address the epidemic health problems caused by sedentary lifestyles. Summer Camp with Mestre Cafu includes workshops in capoeira technique, acrobatics, maculele, percussion, berimbau, Capoeira songs/Portuguese lessons, along with daily field trips and arts and crafts.